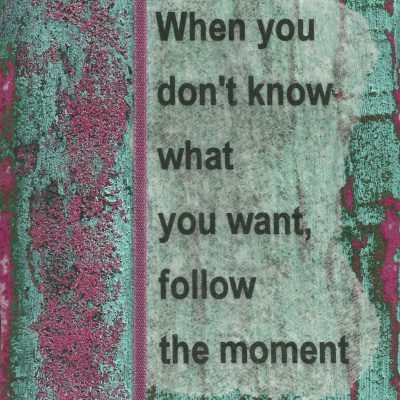 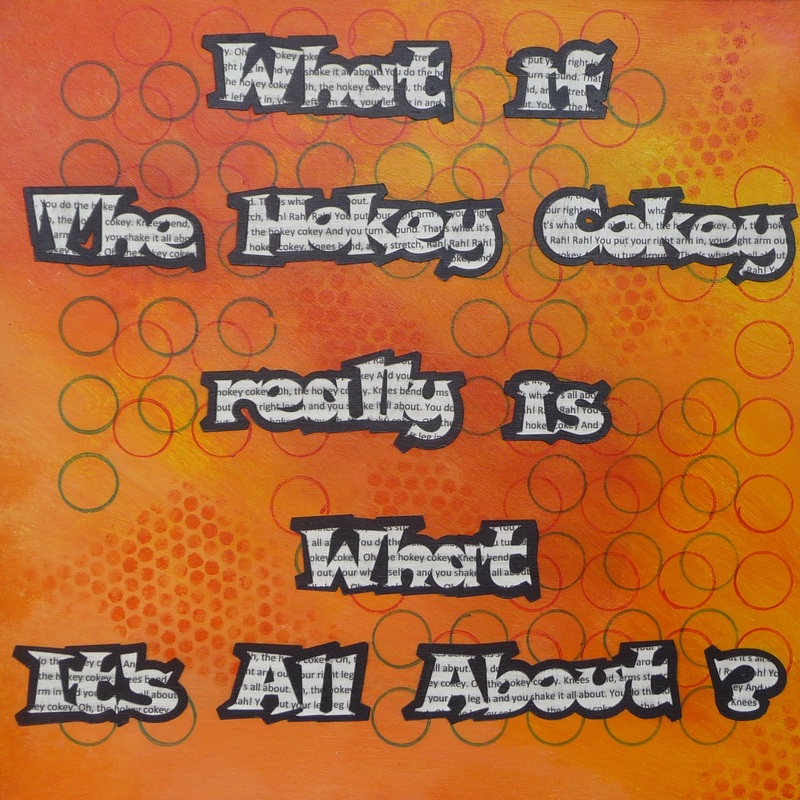 Original 12″ x 12″ mixed media painting on hardboard backed foam board with inspirational words “What if the Hokey Cokey really is what it’s all about?”. 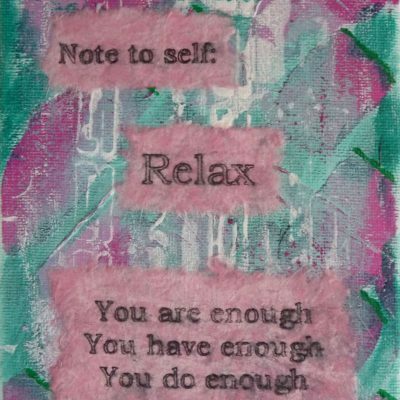 Created with acrylic paint and hand printed papers and cardstock. 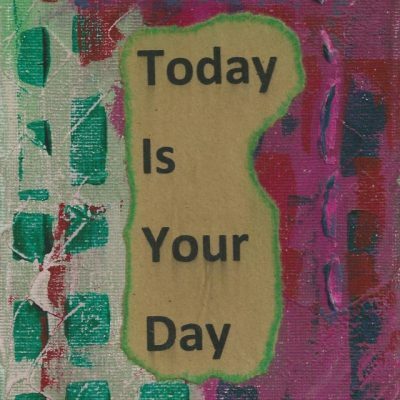 Created with acrylic paint and hand printed papers and cardstock. 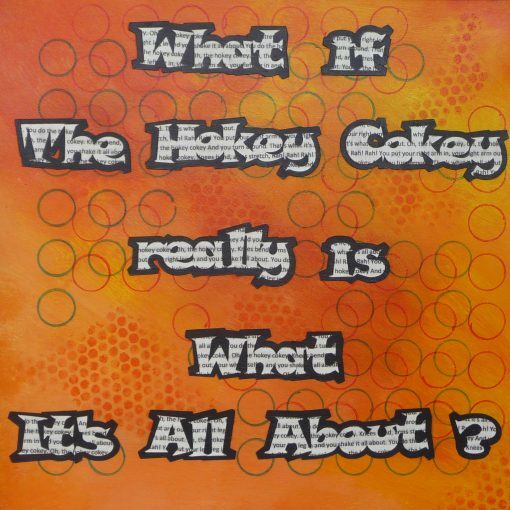 Main colours are orange and yellow.